The A350 air purifier is affordable and effective. Removing 98% of airborne allergens, it's easy to see why the A350 air purifier is one of our most popular air purifiers. For rooms up to 800 sq. ft. The Alen A350 air purifier eliminates pollen, dust, pet dander, dust mites, large particles and mold spores. 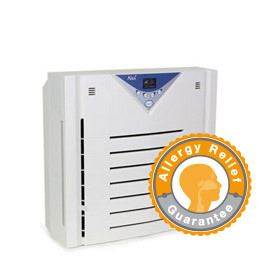 Its genuine HEPA filtration at an affordable price. The energy star rated A350 air purifier is easy to maintain with a washable pre-filter and low filter replacement cost. 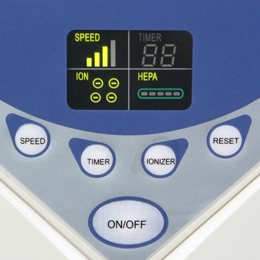 It has a digital display with simple and intuitive touch button controls, a filter change indicator light, 4 speed settings and a 12-hour timer. Warranty: Lifetime warranty with regular filter replacements. A350 Size: 18.5" x 8.23" x 17.48"
A350 Packaging: 21.42" x 9.92" x 20.24"